Tuffa Tanks have recently designed & manufactured a bank of bespoke tanks to be used at a film set depicting the Laundry Room of a 1950’s grand house, with thanks coming from the client for ‘doing such a great job’. 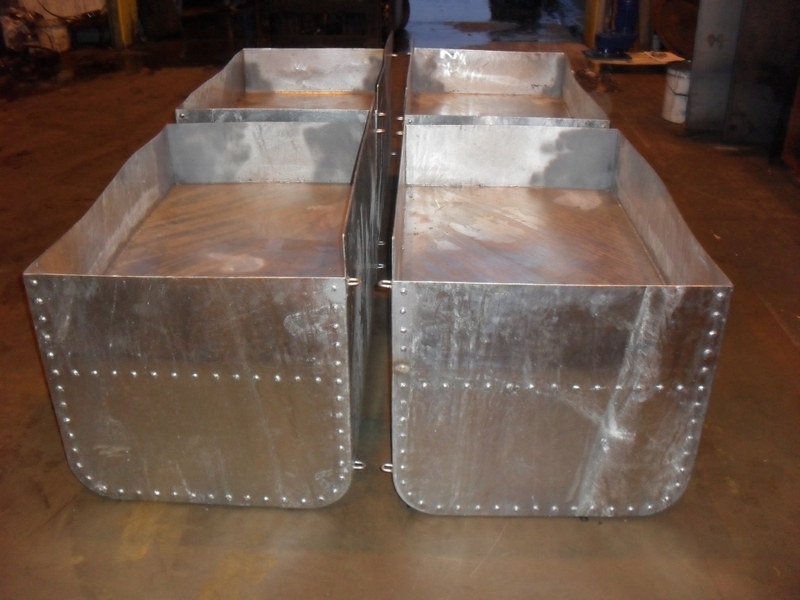 The client had specific requirements which Tuffa were only too happy to meet, and the tanks were galvanised with curved edges and aesthetic rivets to replicate tanks used back in the 50’s. The client also requested a raised base to give the perception of the tanks being full of water. All four tanks were delivered to the film set, based in Oxfordshire. Stephen Frears directs the film, which tells the true story of Philomena Lee, played by Judi Dench, a real-life account of a woman’s search for the son she was forced to give up for adoption. Philomena, an unmarried teenager in 1950’s Ireland who was coerced by Roman Catholic nuns into selling her infant child, Anthony, to a wealthy couple in Missouri. The film is based on the 2009 book The Lost Child of Philomena Lee: A Mother, Her Son and a 50 Year Search by the former BBC correspondent and Labour government advisor Martin Sixsmith. British comedian Steve Coogan will co-star as the journalist who helps Lee in her search, while the film is backed by Pathé UK and BBC Films. Shooting has already started and is filmed in Ireland, the UK and USA. It may be a little while until these bespoke tanks can be seen on screen, but watch this space!